Already last Saturday, when football superstar Lionel Messi dared to miss a penalty against Iceland, the internet proved to small and the tweets sent in his name numbered in the millions. Over the next few days, as Argentina reels over a catastrophic 0-3 loss to Croatia, that tenure will only be heightened. Messi, arguably the world’s best-known footballer (sorry, Ronaldo), already looked worried as his teammates were singing the national anthem before kick-off. But 90 minutes later, he seemed desperate. 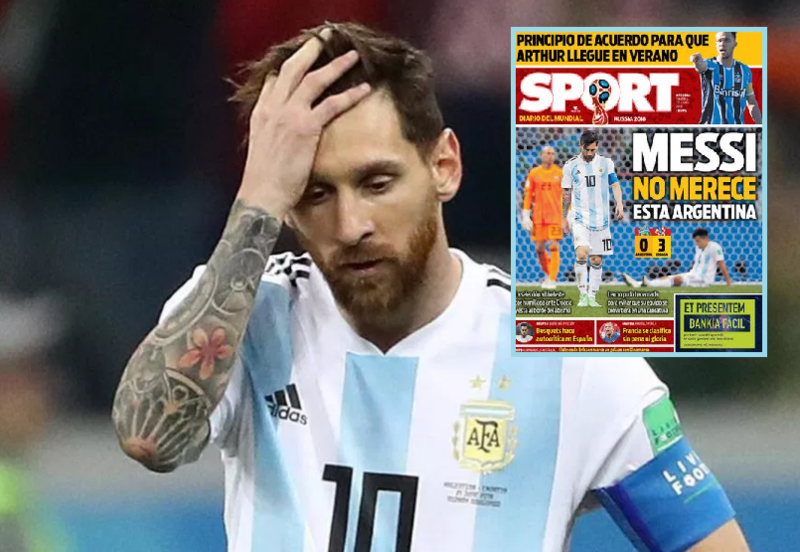 There had been signs all week, with many in the Argentinean media gossiping how Messi had not joined a team barbecue after the draw against Iceland, preferring to spend time alone in his hotel room, or how no one had shown up to visit him during the team’s ‘family day’, leaving South American press to suggest the Barcelona striker was having ‘marriage problems’. Argentina looked weak yesterday, playing without a clear motive against a super-excited Croatia ready to show the world they were a force to be reckoned with. His home media really tore apart the team after the humiliating defeat, with commentators speaking of a “catastrophe” and a “humiliation”. With a draw and a loss in hand, the finalist of the 2014 tournament now has to beat Nigeria with a resounding number of goals and hope the other group results go their way or otherwise their World Cup will end in the group stages already, a result no one had predicted before.